In the modern world, it is all too easy to be distracted by talk about terrorism, martial law, and other problems caused by humans in relation to survival scenarios. On the other hand, in the last few years, natural disasters have claimed just as many lives and can put your life at risk at any moment. For example, you can most likely name at least one or two regions of the world that were struck by devastating earthquakes in the last five years alone. If you do not know how to generate electricity or harness other forms of power in this type of crisis, you will find it very hard to survive. In fact, even if you have gone to great lengths to build a homestead and make sure that all of your systems are EMP proof, you may still be completely unprepared for an earthquake. That’s why you have to learn a few ways to generate power during an earthquake so that you aren’t missing out on this vital part of prepping. An earthquake may not last for more than a few seconds. Some buildings and roads will cave in immediately, others can also collapse suddenly as the days and weeks go by. If the earthquake is severe enough, you can also expect power lines and transformers to be either deliberately taken off line or damaged in some way during the earthquake and aftermath. Aftershocks can cause more buildings to collapse as well as other problems to get even worse. If you have home based solar panels on a roof, the entire building could cave in. Battery packs and other support systems may also be damaged or destroyed when buildings cave in. Solar panels located closer to the ground may be smashed by falling debris from nearby buildings or many other sources. Windmill stands can become shaky and tumble to the ground. Underground bunkers with solar panels in the roof area can also collapse depending on how much the land shifts during the earthquake. For those who favor underground living to survive most crisis situations, never forget that tectonic plates weigh beyond billions of pounds, plus the earth and rocks sitting on those plates. As such, even if there is just a small amount of motion, there is no such thing as a bunker fortification strong enough to withstand that kind of pressure. Earthquakes that cause dams or other water retention features to break can also ruin water wheels and other water based electric generation systems. This includes Archimedes Screw based systems and anything else that may become useless if a river or other body of moving water changes course because of the earthquake. Even if you build a large scale system or restore some of your power generating abilities, aftershocks may destroy these systems all over again. Broken up roads, fallen trees, and other debris may make it very hard to travel more than a mile or so. 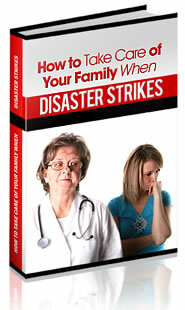 As with many other disaster scenarios, fires will be one of the biggest problems you may face. From old style TVs exploding to combustible fuels igniting, rest assured that fires will severely hamper your ability to generate power and also gather materials that might be of use to you. No matter whether you are in the epicenter of the earthquake zone or in the mid-level damage ranges, there are likely to be plenty of abandoned materials to work with. Copper wire, old motors, magnets, or anything else that might be used to generate electricity – chances are it may be laying in the wreckage. It may take some effort to salvage these materials, forming survival teams and gaining cooperation from others can make the job a lot easier. Computers, phones, and other information devices may still be operable. If you do not know how to build a solar cooker, or some other device using the materials at hand, you may still be able to get at that information using many of the devices you are accustomed to using. When in doubt, make it your business to save PDF files of websites offering key information on devices that you can use to generate electricity. As long as the computer, or even a smartphone is not damaged in the blast, and you have some battery power, you could get at the information you need and start building with what you have on hand. When compared to a nuclear crisis, global monetary collapse, or some other major social dysfunction that affects vast regions of a nation, an earthquake related crisis is relatively short term and limited in nature. It is both reasonable and plausible to assume that people from other regions will attempt to assist people in the earthquake zone. It also means that people in the affected region may be a bit more inclined to try working together as a team instead of taking a fatalistic approach that makes it very hard for people to work together. Therefore, even if you have plans for generating power just for your own needs, it may also be of help to work with others to create larger scale power generation methods. Even if you do not have a large number of tools or materials available, there are still quite a few ways to generate power after an earthquake. Even if you do not keep these items running, the experience you gain from building them will be of immense benefit in time of need. At the very least, store away basic plans for building these devices so that you can build them after an earthquake occurs. Just be aware that not all DIY or instructional materials found in books or online are 100% accurate. If you cannot build working models now, you may get stuck during a crisis and have very few, if any ways available to make a working device. If you have a bicycle, some wire, and a few magnets, you can generate electricity using any bicycle that may be on hand. To begin, all you need to do is mount the bike on some kind of platform so that the wheels can move freely. The platform and mounting hardware should also be sturdy enough so that when you sit on the bike, it will take your weight without falling over or crashing. Next, affix some magnets to the spokes of the bike wheels. It does not matter what kind of magnets you use or where you scavenge them from. Just make sure that they are all either with their north or south pole facing outward. Finally, take some copper wire and wind it into a coil. Place the coils near enough to the magnets so that an electric current is induced in the coil. Depending on the coil type that you choose, the output leads may be in different locations on the coil. Video first seen on Leo W.
When building a bicycle based power generator, don’t forget that you can also pull one wheel off the bike and replace it with a motor. As you may be aware, not every motor can be used to generate power. In some cases, even if the motor can be used to generate electricity, you may need to add a pulley to the center shaft so that it can be driven by the bike chain. In terms of getting materials for a bicycle based generator, it may not be as difficult as expected during an earthquake. For example, even an old bike that has been sitting in your garage for years can be used for this purpose. As long as the wheels turn, you can get power from both wheels. Copper wire is plentiful in most households. You can scavenge plenty of wire from appliance wires, extension cords, and just about anything else that requires electricity from a socket. Aside from that, if motorized appliances are crushed during an earthquake, you may still be able to salvage the motors from these devices. Even if the motor itself does not run, try opening up the case to see if you can get at the wire core within. This core can be rewound to a more suitable coil, or simply add a pulley to it for some other device to drive. Bicycle generators can also be used on farms or homesteads where existing off grid power systems may have been wiped out by an earthquake. Take the wheels off the bike and make a platform for them in such a way that the wheels are parallel to the ground. As before, place magnets on the wheels, and then set the coils on the ground below the wheels. From there, large dogs, horses, or other animals can be hitched up to the wheel in order to turn it. If you have ever seen the way animals were used to crush grain, then you can also understand how this system would work. And if you have wood available and a strong enough support system, you can make a larger wheel and then use more magnets and coils to generate more power. Just because a car may have been crushed during an earthquake, or there is no fuel to run it, that does not mean the alternator cannot be used to generate power. Since the alternator is already tasked with taking rotational power from the engine and turning it into electricity, you can say that using an alternator may even be easier than using a bicycle. In most cases, the alternator is actually fairly easy to locate and then remove. Once you do that, you can simply used the attached pulley to drive the alternator. Video first seen on PERKINSPRODUCTIONS1. If you cannot operate your vehicle (a non-hybrid, conventional gas vehicle), open up the hood, disconnect the battery and start looking for the alternator. It is actually very easy to locate in most vehicles. Locate the main engine block and look around for one side of the engine where there are numerous belts, or one single large belt that seems to connect multiple devices. The thickest belt will be the serpentine belt, which usually goes from the engine to the alternator. You will know you have located the alternator because its mounting brackets usually include a series of teeth that allow the angle of the pulley to be adjusted for more or less tension. Typically, the alternator drives (via belts) the starter and air conditioner motor. It also delivers power to the steering pump, and every other electrically driven pump or device on the vehicle. Once you locate the alternator, you should be able to locate two, maybe three mounting bolts and brackets. Depending on the vehicle, it may be easier to access them from under the vehicle. Always make sure that your vehicle is safely secured to ramps or the wheels are properly blocked before going under the vehicle. Even doing something as simple as loosening a few bolts can spell havoc if you don’t know what you are doing! Consult your vehicle repair manual to find out how to best remove the belts and disconnect the alternators wires. Remember, you do not want to remove the pulleys because you can use them to drive the alternator with just about anything that will spin: everything from wooden paddles in a moving body of water to a bicycle assembly. No matter what system you use to drive the alternator, it will provide about 12 volts of steady power once you get enough rotation going. You can also feed that power back into the car battery and then use the battery to provide an even flow of power to other devices. No matter whether you have motors and alternators available or not, coils of wire and magnets are a fundamental part of generating power. As long as you have these two items and some means to spin the magnets in relation to the wire, you will be able to generate power. Do some research now on the best coil shapes, and also how to get the most power out of various magnet alignments. Not only is this a fascinating hobby and subject to study, you will also be able to build some very important power generating devices that will be very useful in many crisis situations. Even though there may be plenty of objects to scavenge to make power after an earthquake, aftershocks and other problems are likely to make large scale power generating systems more trouble to build than they are worth. There is at least one very simple way to generate power that can use all kinds of salvaged parts and very little in the way of manpower. This is actually a fairly old way of generating power that is used in some third world countries where even a little power can be used for a lot of things. Earth batteries are basically a means of harvesting electricity from the Earth itself. While you may not realize it, the Earth’s magnetic field is very similar to that of a magnet in the sense that it also generates a perpendicular electrical current. During the day, this electric current is stronger than during the night hours. All you need to do is bury some metal deep enough, attach wires, and add some water. No matter whether you start off with ice cube trays or decide to build a larger system, the principles are the same. Do some research on how many batteries you are going to make. If you have a number of abandoned cars or other bits of metal, then you will have plenty of materials available for making these batteries. Even if the earth does shift again from an aftershock, you won’t need to worry about solar panels breaking, windmills tumbling to the ground, or other problems developing. At most, you may need to dig up the metal and start over or reposition the wires. You have to be able to use energy other than electricity , to burn paper, wood, and other materials to generate heat for cooking, drying wet clothes, and staying warm. Since these activities actually take up most of your daily electricity needs, being able to manage these areas via alternative means may actually be of more use than simply trying to keep using the systems you are accustomed to. pulleys, levers, rope, belts, magnets, wire, and springs that can be assembled into power generating systems. For more ideas, look to the ancient building practices of the Greeks, Maya, and Chinese. You will find all kinds of fascinating devices, including robots, that were able to use the laws of physics to move objects with very little manual labor. You can adapt one or more of these systems to help generate electricity once you know how integrate the system with magnets and coils. Even though hundreds of thousands of people have been killed in earthquakes or found their lives permanently disrupted by them, relatively few people think about preparing for this type of crisis. On the other hand, as people in Oklahoma and several other states are finding out, science has no true grasp on earthquakes let alone an absolute method for saying that one place will be an active zone while others will not. For example, the rise in earthquakes in the last five years in Oklahoma alone indicates that scientists know far less than they think they know about what is going on below the Earth’s surface. Be ready for an earthquake even if you have been told that your local area is not likely to have problems in your lifetime. No matter whether the earthquake is caused by known geological changes below the Earth’s surface, fracking, or some type of hidden man-made activity, rest assured that you will not want to be stuck in an earthquake zone and not know the best ways to generate power. « Did You Know These Siberian Survival Secrets?